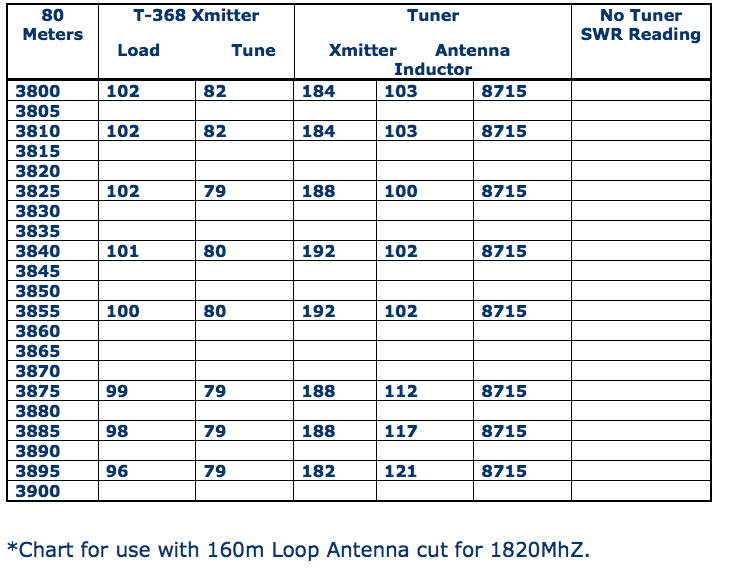 To save time and allow more accurate tuning when switch frequencies or bands, I have created several charts in which I have recorded the settings on my transmitter and antenna tuner. 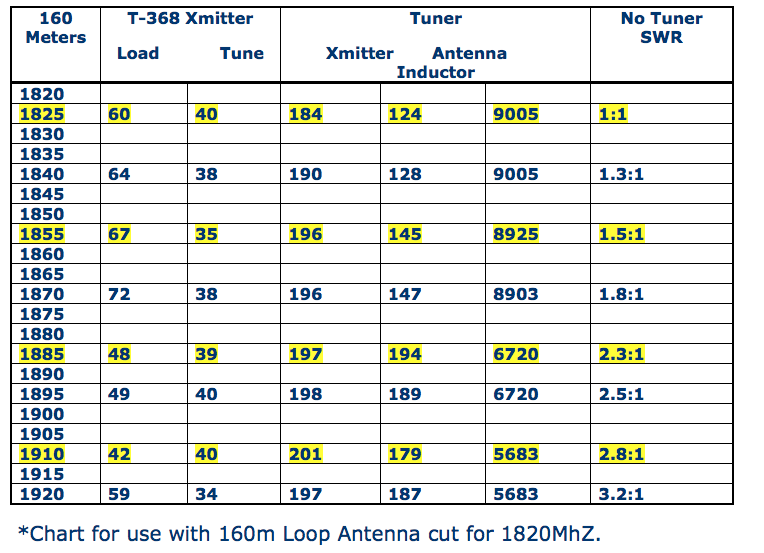 Note that these charts will not be the same as your unit due to difference in equipment and antennas. I have included them here only as guide.